i s a highly reputable and respected ice machine manufacturer. 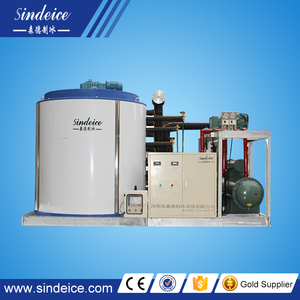 Try to contact us for a good quality ice making machine with the competitive price. If the user improper operation, spare parts is not provided free of charge. 4. After sending, we will track the products for you at proper time, until you get the products. If you have any questions about the problem, contact with us, we will offer the solve way for you. If the machine breaks down in 15 months, Focusun will send the parts for free, even send the technician over if situation needed. 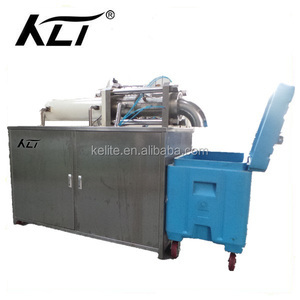 1 YRS Wuxi Kelai NC Machine Tool Co., Ltd.
Dry ice pelletizer machine for makeing granule Contact Tina Whatsapp/wechat: 0086-15037185303 Skype: taizy2036 Introduction: This dry ice making machine designed for scientific experiments, low-temperature medical, food catering, stage art for the preparation of a small amount of dry ice and design. Semi-automatic operation, the design capacity per hour is about 30-60 kg, can meet the basic production needs. In the professional version, based on the introduction of the manual operation of the module, reducing the degree of correlation between the electrical device to optimize the flow of operations. 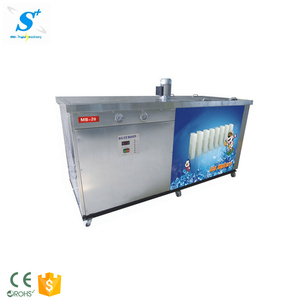 13 YRS Hangzhou Chuankong General Equipment Co., Ltd.
Dry Ice Machine for Sale KBS-02 Advantages for Dry Ice Machine for Sale KBS-02 : No need for electricity! Use ordinary liquid carbon dioxide in cylinder!! Dry Ice Machine for Sale KBS-02, contact us by followings: Dry Ice Machine for Sale KBS-02, our certifiates: Welcome for business f or Dry Ice Machine for Sale KBS-02 TOPTION will be your top option!! Q: What other uses for dry ice? A: Dry ice and ice were similar terms , but very various solids . Dry ice and ice are both utilized for cool , but their various freeze temperatures and chemicals structures provides for other very various functions and potential dangerss . Ice is the solid form of water with a chemical structure of H2O . Dry ice is the solid form of automobilesbon dioxide with a chemical structure of CO2 . Ice forms at 32Â°F . Dry ice forms at minus one09.3Â°F . Ice generally transformed into liquids water when it gets above its freezing temperature . Liquid water transformed into its gaseous form called steam at 212Â°F . Dry ice , instead , goes directly from solid form to gaseous carbon dioxide in a process called sublimation at minus one09.3Â° . Ice utilized , primarily for refrigerating foodstuffs and for preserving perishable foods during vessel . 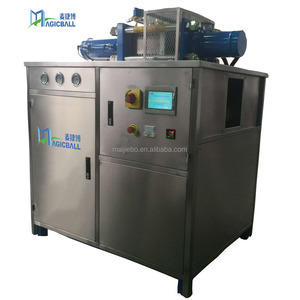 Dry ice utilized , primarily as a refrigerant for vessel and for flash-freezing food , however , its sublimation ownership and ultracold temperature also make it useful for other things like fog machinery and fumigation of furniture . Dry ice must always be manipulated with protective gloves in a well-ventilated area . Also , dried ice should never to utilise to cool a drink since inadvertently swallowing a piece is a life-threatening situation . Q: Can you swim through melted dry ice? A: I would not try it , but you are able make root beer and other stuff with it . Dry Ice is frozen carbon dioxide , a ordinary part of our earth 's atmosphere . It is the gas that we exhale during respiration and the gas that plants be utilized in photosynthesis . It 's also the same gas usually additional to water to make soda water . Dry Ice was particularly useful for freeze , and maintaining things frozen because of its very cold temperature : -109.3°F or -78.5°C . Dry Ice is broadly used since it is straightforward to freeze and easily to deal with using insulated gloves . Dry Ice modifications directly from a solid to a gas -sublimation- in ordinary atmospheric terms without is passing through a moist fluid phase . Therefore it gets the name `` dried ice . '' As a rule , Dry Ice will sublimate at a rates of 5 to ten pounds every 24 hours in a feature ice chest . This sublimation continues from the times of purchase ; thus , pick up Dry Ice as closes to the time necessary as achievable . Bring an ice chest or some other insulated container to hold the Dry Ice and slow the sublimation rates . Dry Ice sublimates more quickly than regular ice melts but will expanded the living of regular ice . It 's the best not to store Dry Ice in your freezer because your freezer 's thermostat will shut off the freezer because of the extreme colder of the Dry Ice ! Of course if the freezer is ruptured , Dry Ice will save everything your frozen goods . Commercial shippers of perishables frequently use dried ice even for non frozen goods . Dry ice gives more than twice the refrigerating energy per pound of weighting and 3 times the refrigerating energy per volume than regular water ice ( H2O ) . 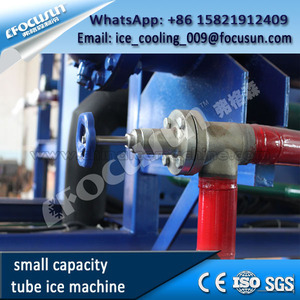 It is often mixture with regular ice save the lives of shipping weighting and expand the refrigerating energy of water ice . Sometimes dried ice is made on the spot from liquids CO2 . 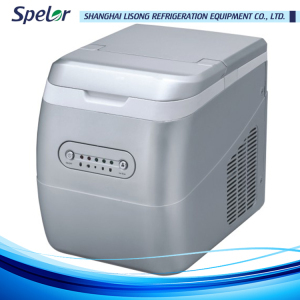 The outcomes dried ice snowadays is packed in the top of a vesselping container offering extended refrigerating without electric refrigerating equipment and connexions . 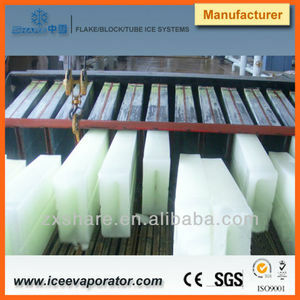 This instructive site received support by both producers and vendors of Dry Ice . Thank you in support of them . and ,  SAFE HANDLING OF DRY ICE   Caution : Keep Dry Ice away from children if they were able not be intimately overseen at all times . HANDLING  Dry Ice temperature is exceptionally cold at -109.3°F or -78.5°C . Always handle Dry Ice with caring and wear protective cloth or leather gloves wherever touching it . An oven mitt or towel is gonna work . If touched briefly it is innocuous , but prolonged touch with the skin will freeze cells and cabe utilized injury similar to a burning . STORAGE  Store Dry Ice in an insulated container . The thicker the insulation , the slower it will sublimate . Do not store Dry Ice in a completely airtight container . The sublimation of Dry Ice to Carbon Dioxide gas will cause any airtight container to widen or potentially detonate . Keep appropriate air ventilating whenever Dry Ice is stored . Do not store Dry Ice in unventilated room , basements , autos or vessel holds . The sublimated Carbon Dioxide gas will sink to low spheres and replace oxygenated air . This could cause asphyxiation if breathed solely . Do not store Dry Ice in a fridge freezer . The extraordinarily cold temperature will cause your thermostat turning now off the freezer . It will keep everything frozen in the freezer however , it will be utilized up at faster rate rates . It is the perfect thing if your fridge broken down in situations of emergency . There 's also Commercial Storage Containers available . DISPOSAL  Unwrap and leave it at room temperature in a well-ventilated area . It will sublimate from a solid to a gas . DO NOT leave Dry Ice unattended todayround children . It is CO2 , caution . Q: Why is it called dry ice if it is not ice? A: Because it does not melt - it dissipates , at which time it transformed into a carbon dioxide gas , and not a fluid .